While political leaders have managed to destroy the European social model in both word and deed in recent decades, a retrospective of Bakema’s vision of architecture and an open society is an ode to a direction that was not pursued further. In this vision, the Netherlands is modern and completely urbanized, and of course designed in a modernist manner down to the last detail. Acknowledging that recent decades have seen little progress towards an open society is, however, not the same as abandoning belief in progress. 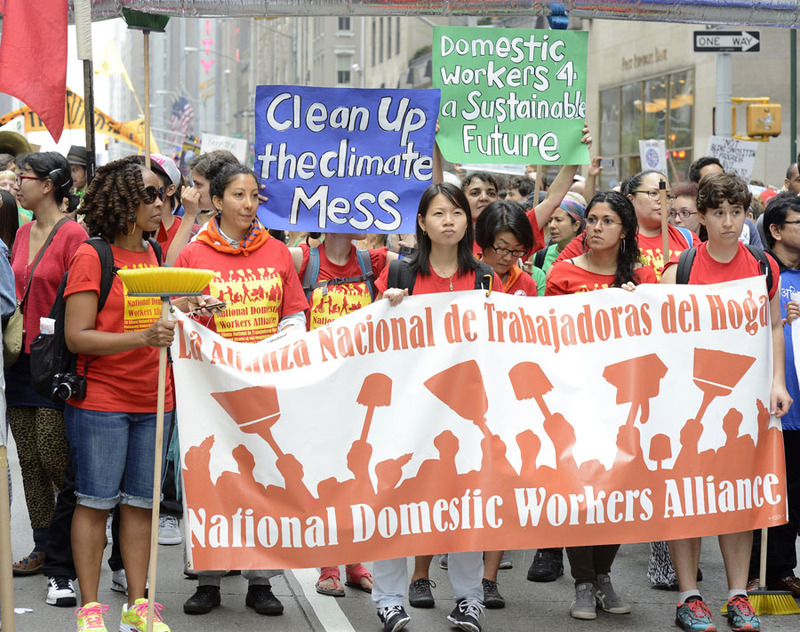 This article concludes with an ode to direct action on the street, a place where democratic changes usually start. 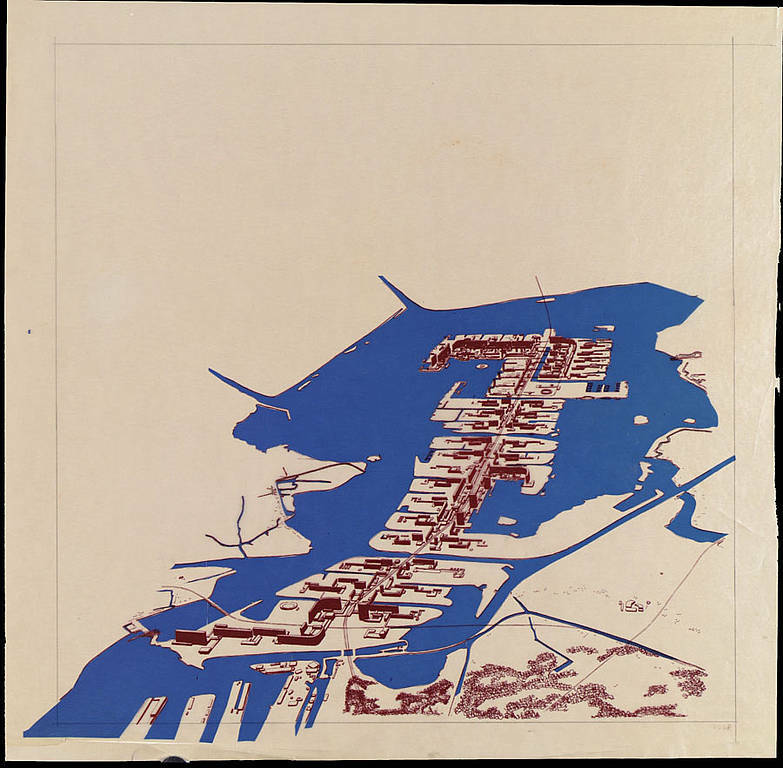 In the early 1970s Jaap Bakema and architecture theorist Jürgen Joedicke published a retrospective entitled Architektur – Urbanismus, Architecture – Urbanism, Architecture – Urbanisme. The book contains descriptions of projects by the office of Van den Broek en Bakema. 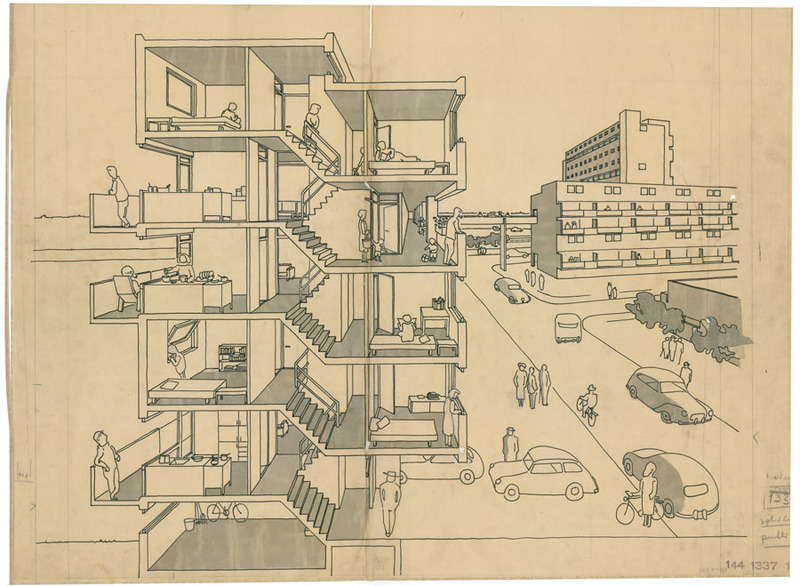 In the margins, Jaap Bakema, then in his early sixties, outlined once again his vision of architecture, urbanism and society. Bakema starts the publication by announcing that a second (industrial) revolution is taking place, characterized by ‘automation, total urbanization, and democratization of the social decision-making processes’. [i] Here he reinterprets Reyner Banham’s concept of the Second Machine Age[ii] and places himself in a Marxist context in which students, not the proletariat, carry the torch of revolution. Bakema envisages a mechanized future in which greater industrial efficiency enhances the quality of life of citizens,[iii] and at the same time he expresses concerns about the environment,[iv] and about the 19th-century model of unbridled exploitation and expansion that paved the way for the Industrial Revolution. democratization of the social decision-making processes. [iii] Jürgen Joedicke, Architectengemeenschap Van den Broek en Bakema, Architektur – Urbanismus, Architecture- Urbanism, Architecture – Urbanisme, Stuttgart 1976, p. 72 “It is true that in the future there will no longer be enough work for everybody, or if working hours are shortened, then in his spare time the inhabitant should be able to expand his house…” Bakema refers to an article by him in the periodical de 8 en Opbouw, no. 9 1942, in which he explains that the structural unemployment caused by mechanisation should be solved by changing the ownership relationships of the means of production. This is also a position adopted by the first CIAM congress: “The idea of ‘economic efficiency’ does not imply production furnishing maximum commercial profit, but production demanding a minimum working effort.” La Sarraz Declaration, 1928 English translation, Ulrich Conrads, Programmes and Manifestos on 20th-Century Architecture, Cambridge (Mass.) 1970, p. 109. “By one interpretation, modern architecture is a hard-headed and hard-nosed undertaking. There is a problem, a specific problem, and there is an obligation, an obligation to science, to solve it in all its particularity; and so while without bias and embarrassment we proceed to scrutinize the facts, then as we accept them, we simultaneously allow these hard empirical facts to dictate the solution. But, if such is one important and academically enshrined thesis, then, alongside it, there is to be recognized a no less respectable one; the proposition that modern architecture is the instrument of philanthropy, liberalism, the ‘larger hope’ and the ‘greater good’. In other words, and right at the beginning, one is confronted with the simultaneous profession of two standards of value whose compatibility is not evident. On the one hand, there is an expression of allegiance to the criteria of what – though disguised as science – is, after all, simply management; on the other, a devotion to the ideals of what was a few years ago often spoken of as the counter culture – life, people, community and all the rest; and that this curious dualism causes so little surprise can only be attributed to a determination not to observe the obvious.” The big difference between Rowe and Bakema is that Rowe acknowledges the inherent contradictions of the modern project. [vi] For an interesting criticism of the proposals by Bakema for Amsterdam and Tel Aviv, see Kenneth Frampton, Modern Architecture – a Critical History, London 1992 (orig. 1980), p.274. [vii]Thomas Piketty, Capital in the Twenty-First Century, Cambridge (Mass. ), London 2014, p.14 Piketty explores in depth the difference between the optimism expressed publically by Kuznets and the reservations he voiced in his academic work. According to this interpretation, radical social change can only be achieved by questioning the capitalist foundations of society and revising current power and ownership relationships. The difference between Bakema and Tafuri and Dal Co is that the former, despite the use of inflammatory rhetoric, largely advocated gradual change within the system, while Tafuri and Dal Co regretted as early as the 1970s that the social unrest of the preceding decade had not led to fundamental change in traditional labour and power relationships. They too could not envisage that the call for more individual freedom, participation and equal rights would lead to the reactionary counter-revolution of neo-liberalism and the almost complete dismantling of the welfare state. [ii] The economic shocks of the oil crisis of the 1970s heralded, as we now know, the start of the Hayekian transformation of the economy, in which the fiscal crisis of liberal democracies was ‘solved’ by higher national debts, globalization, and deregulation of financial markets, combined with extensive privatization of state property and services. [iii] According to sociologist Wolfgang Streeck, this transformation marks a power shift from democracy to an international financial and multinational elite that is not subject to democratic accountability. [iv] Governments are increasingly concerned about maintaining ‘confidence in the market’, even if this leads to the further marginalization of the weaker members of society, the destruction of social services and the weakening of democratic legitimacy. The conflict between democracy and capitalism intensified with the crisis of 2008, the bail-out of the banks and the austerity measures, but this process of erosion had been occurring for decades. If we look back at the model of the open society advocated by Bakema, a model based on greater democratic participation, automated production and local and total urbanization, then we must acknowledge that progress in all three areas has been an utter failure. [i] Manfredo Tafuri, Francesco Dal Co, Modern Architecture, New York 1979 (original 1976), p. 390.
http://blogs.wsj.com/eurocrisis/2012/02/23/qa-ecb-president-mario-draghi/, website visited on 26 October 2014. [iv] Ibid. from p. 79 on he argues that a bigger gap has emerged between the interests of the Staatsvolk, a term for the citizens of independent nations, and the Marktvolk, an internationally operating financial elite. See also: Joseph E. Stiglitz, Freefall – America, Free Markets, and the Sinking of the World Economy, New York 2010. This book examines the 2008 crisis in great detail. Stiglitz is a strong advocate of more regulation and Keynesian economic policy, and argues that the neo-liberal economic model has in fact little to do with the working of the free market, but is based on a far-reaching and unhealthy intertwining of politics and marketplace. The answer, according to Bakema, is both architectural and administrative. He appeals for the humanization of architecture by emphasizing the human scale and expressing social relations, and he stresses the need to implement sound urban-design policy through zoning plans. Here Bakema is searching for a balance between individual and collective needs and thinks that participation and responsibility of citizens should be increased to achieve that. So on 21 September my wife and I took part in the People’s Climate March in New York, joining a multitude of singing and dancing people from America and all over the world. Television usually creates the impression that society is completely polarized, while here we had farmers from Nebraska, Native Americans, Hare Krishnas, vegans and victims of Hurricane Sandy walking side by side. We were no longer alone, isolated behind our computers, but part of one big, peaceful movement. People did of course realize that demonstrating and sending one signal is not enough, to view the climate problem separately from the prevailing social and economic inequality. Political and social changes need to be fought for, along the paths of direct action, the ballot box, and everything in between. 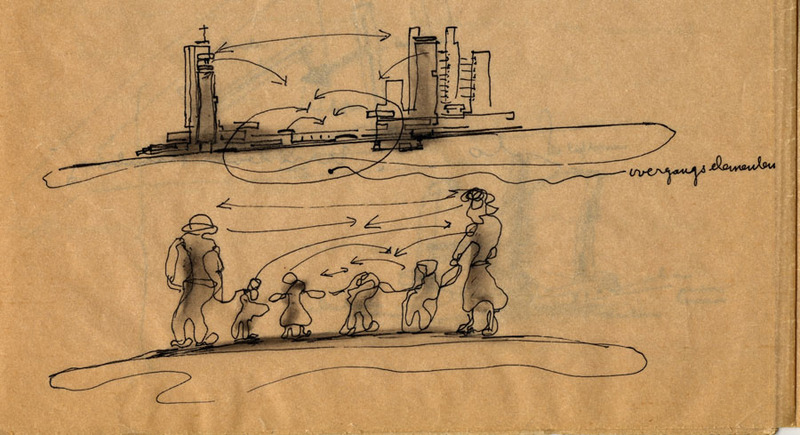 Even so, the sense of collectivity was a transforming experience. In any case, a start has been made. For architects I think that the ambiguous answer given by Bakema still holds true. For us it is indeed a political and physical problem, or in the words of Tafuri, a matter of redistribution of means of production and institutional reform. Architects are well positioned to acquire knowledge, organize themselves and formulate and visualize an alternative vision, and to communicate this with a wider audience. We cannot wait to see if the Dutch political class ever again supports a progressive vision of public housing, planning and urbanism without the application of some pressure, or without people being aware of alternatives to the terror of ‘the market’. I do not know how many bodies are needed to extract ‘democracy’ from the power clutches of business and Wall Street, how loud our voices must be to end political stalemates, but what I do know is that the open society is more a verb than a fact. [ii] Bill Mc Kibben, Interview by Jay Caspian Kang, The New Yorker, 20 September 2014, http://www.newyorker.com/tech/elements/peoples-climate-march-interview-bill-mckibben, (viewed 2 November 2014). Thomas Wensing is an architect who lives and works in New York.